Training tools and techniques that enhance the learner experience. Frontline agents are under pressure to perform in a role that has become increasingly challenging due to more complex products and services, constantly updating information, and an internet-savvy, informed customer base. It takes a lot of knowledge and confidence to deliver a quality service experience on a call-by-call basis under such circumstances, even for seasoned agents. While classroom-style training has long been the backbone of corporate training programs, not all topics, learning styles and skill types can be addressed adequately with its one-size-fits-all approach. The formal classroom model is expensive and time-consuming for companies to administer, and often results in content overload for participants. As a training delivery system, classroom alone is not the most effective method, especially when you consider the research conducted by 19th century German psychologist Hermann Ebbinghaus on the “forgetting curve,” which found that humans typically forget about half of what was learned within days (or sometimes hours) of learning it. Younger generations who are used to having information readily accessible at their fingertips often find classroom learning to be too slow and impersonal. According to a PwC survey, only 6% of millennials value formal classroom training. There has been much speculation that the reason why millennials don’t do well in a classroom environment is that they suffer from short attention spans. But Carol Leaman says that the real issue is that younger generations tend to be impatient when it comes to learning and development. “They don’t like to feel that their time is being wasted,” she explains. “They’re used to being able to access what they need quickly and instantly, and they don’t want to have to wait until the company is ready to train them on a particular thing.” Leaman is CEO of leading corporate microlearning platform Axonify. So how can companies provide an engaging learning experience that meets the requirements of the frontline agent and the business? 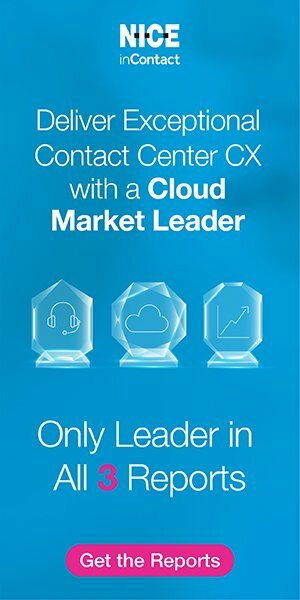 The following are a few innovative tools and techniques developed for the contact center environment which reinforce knowledge and skills retention while delivering positive performance improvement. Microlearning can complement a contact center’s onboarding process by reinforcing critical content taught in introductory training events. How does it work? Axonify’s typical format starts with important messages from senior management. Next, each agent participates in a personalized training session followed by gameplay, rewards and a progress check—all of which takes place in under six minutes. “Microlearning is continuous. It’s not just one day or one time—it’s every single day, which maps to how memory works,” Leaman adds. Axonify Impact, which uses artificial intelligence and machine learning to tie the knowledge and performance of a contact center’s agent population to its business objectives. “Organizations can then pinpoint which learning programs are generating results and by how much, in real dollars,” Leaman says. Axonify Discover provides agents with instant access to on-the-job reference content. It enables businesses to crowdsource important resources and job aids from internal subject-matter experts, then gives the frontline agent an intelligent search so they can access useful content when they need it, such as while on a call with a customer. Axonify Discover connects agents to job resources and support instantly and seamlessly. Contact center trainers and supervisors understand that having agents role-play potential scenarios is an effective way to help them apply newly learned skills. Practicing those skills over time optimizes the process of learning, and when practice is enriched by feedback, it transforms knowledge into successful on-the-job performance. That is the concept behind Practice, the newest component of Lessonly’s increasingly robust online training platform. The Practice tools offer simulated work scenarios in Lessonly for employees to rehearse basic customer service and sales skills. “A lot of the softer skills that are harder to train are great candidates for using our Practice products,” says Lessonly President Conner Burt. Chat Practice: Offer a realistic chat experience for teams to hone their skills before talking to customers. Support Ticket Handling: Practice thoughtful ticket handling—from prioritization to resolution. Webcam Recording: Rehearse pitches or customer interactions on video and receive helpful feedback from managers. Screen Recording: Capture all or part of a screen, along with audio, to hone product walkthroughs or other skills. Email Reply: Respond to customer service tickets and concerns via a simulated email client. Email Composition: Draft mock emails to customers or prospects to refine messaging and maximize impact. A feedback feature also allows managers and trainers to grade agents and provide specific feedback. Lessonly’s Practice tools provide simulated work scenarios for agents to rehearse basic customer service and sales skills. Lessonly has partnered with popular customer service and engagement software providers like Zendesk to ensure that practice sessions emulate the actual call, chat or video platforms in which agents work. Frontline agents aren’t the only ones who can benefit from quick anywhere, anytime learning opportunities. Recently launched by social customer care training duo Guy Stephens and Billie Sastre, Snak Academy is a mobile-based online course designed to provide management-level participants with everything they need to know to develop a social customer care strategy for their business. The social customer care training course lasts eight weeks and is delivered via a microlearning app, built by Spanish developers Snackson. Participants receive training packages Monday through Thursday, which contain three pieces of content: a video, brief Q&A and a short exercise. Topics include why social customer care matters, understanding consumers’ expectations, selecting the right social channels, calculating ROI, what to measure, getting management buy-in, handling crisis scenarios, and more. Snak Academy also includes a social media support element: Participants have access to a private Facebook group where they can learn and collaborate with fellow learners. In addition, Chief Snakkers Sastre and Stephens hold regular Q&A sessions on Facebook Live to field any questions participants may have.